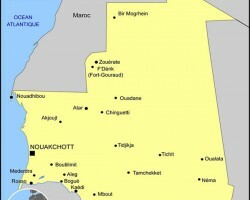 APA-Nouakchott (Mauritania) By Mohamed Moctar — Two Mauritanian gold panners were killed after the collapse of two artisanal gold mines in the Glieb N’dor area (far north of the country), medical sources in Zouerate, the town closest to the site of the accident said Monday. 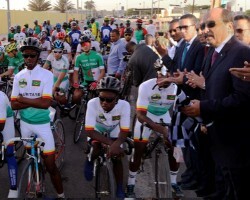 APA-Nouakchott (Mauritanie) By Mohamed Moctar — The second edition of the International Cycling Tour of the Sahel, organized as part of marking National Sports Day in Mauritania, kicked off Tuesday in Nouakchott, APA can report. 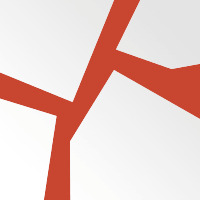 APA-Nouakchott (Mauritania) By Mohamed Moctar — The Association of Producers and Exporters of Traditional and Coastal Fisheries in Mauritania Monday began a strike to decry the harassment of its members. 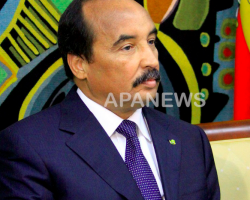 APA-Nouakchott (Mauritania) By Mohamed Moctar — The Mauritanian government has issued a statement on Friday strongly condemning the attacks on two mosques in New Zealand, which claimed the lives of some fifty people and injured 20 others. 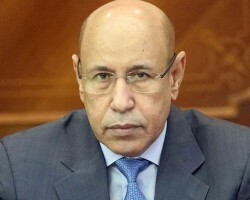 APA-Nouakchott (Mauritania) By Mohamed Moctar — Mauritanian President Mohamed Ould Abdel Aziz made a slight ministerial reshuffle on Friday, marked by the departure of Defence Minister Mohamed Ould Ghazouani, the favourite candidate for the presidential election later this year, the Presidency said Friday in a statement.